Known as "the sport of kings," horse racing has been around the track, so to speak. Out of the gates as early as ancient Greece's Olympic Games, racing would truly find its footing centuries later when Arabian horses were brought to England during the Crusades. 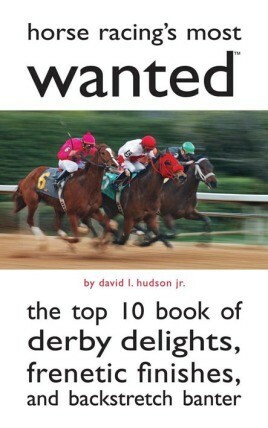 Unfortunately, due to sales rights restrictions, we cannot offer Horse Racing's Most Wanted™ for sale in your country. Known as "the sport of kings," horse racing has been around the track, so to speak. Out of the gates as early as ancient Greece’s Olympic Games, racing would truly find its footing centuries later when Arabian horses were brought to England during the Crusades. Soon nobles with deep pockets were striking friendly wagers, and by Queen Anne’s reign, races with big purses were off and running—and making their way across the pond. In the United States, horse racing has given the world of professional sports—even baseball—a run for its money. In Horse Racing’s Most Wanted™, readers will have the inside track on the sport that draws more than a million viewers every spring with the Triple Crown. Only eleven horses have swept this illustrious series in its 130-year history. Race alongside these near-mythical champions, the jockeys and trainers who spurred them on, and the many competitors who came, raced, but did not conquer. Whether or not it’s the Derby, this sport is exciting. Learn about the fastest fillies, oddest names, greatest tracks, studliest sires—and more. Author David L. Hudson Jr. returns to the Most Wanted™ series with more than fifty lists that cover the sport’s surprising upsets, tragic falls, and photo-finish races. No matter if you win, place, or show, this book is a sure bet.